If you're someone who enjoys eating sushi and other seafood, listen up: Recent reports from Oceana, an ocean conservation group, suggest that fish fraud is a serious problem. 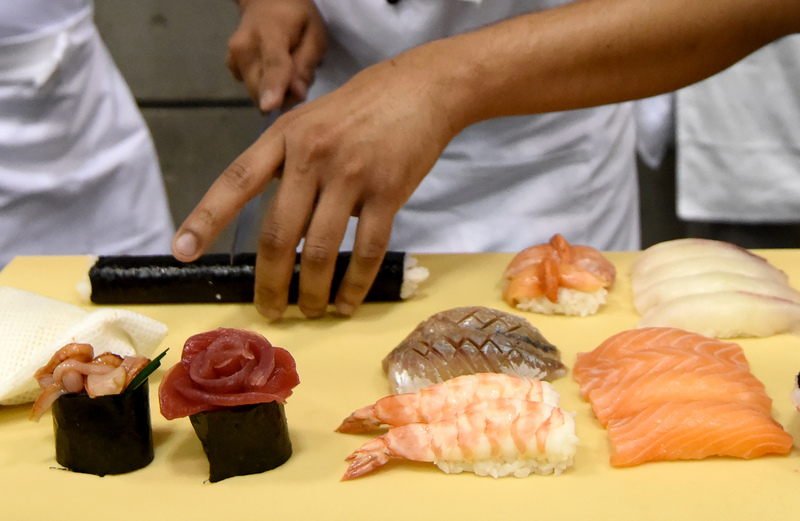 Oceana's new report suggests that as many as one in five samples of seafood are mislabeled. And don't be mistaken: This was no small sample size or fluke finding. Oceana tested samples on a global scale, looking at 200 reports from 55 different countries for a total of 25,000 samples. That is a lot of fish. As Alexandra Sifferlin highlights over at Time, the report found that some countries are worse with fish fraud than others. Eighty-two percent of samples from Italy of grouper, perch, and swordfish, for example were mislabeled; meanwhile, in restaurants in Brussels, Belgium, 98 percent of "bluefin tuna" dishes turned out not to be bluefin tuna at all. The United States' numbers may not seem quite as bad in comparison, but they're still notable: According to the researchers, almost 30 percent of fish tested were frauds, with 58 percent of those fraudulent samples being fish that aren't always great to eat. The scary reality here is that you might not be buying and consuming what you think you are, and the consequences of this deception can have effects on your health. And there is also the ethical issue of mislabeling any item, especially when it comes to food. As consumers, we want to know what we're spending our money on and what we're putting into our bodies. Mislabeling fish can be extremely dangerous for people who have allergies or concerns about possible cross-contamination. It can also be disastrous for the environment, where many kinds of fish are close to extinction due to environmental factors and the over-farming of fish in certain places. While most of us don't always think about the impacts of the ecosystem in our daily lives, it's important to remember that everything is connected — so when something is thrown off, a chain reaction can occur and the consequences can be pretty serious. The solution to this issue doesn't seem to be an easy one, but organizations are working towards better accountability and tracking for seafood. As Sifferlin notes, President Obama put in place a presidential initiative meant to combat illegal, unreported, and unregulated fishing and seafood fraud; additionally, there have been proposals about how to make seafood more easily traced back to its origins. The goal with better traceability is that if buyers, owners, and consumers want to know more about where their seafood comes from, or the way in which it was farmed, then they can easily trace that information back to the original source and see the chain of command for how it got from the sea to their kitchen. This information allows everyone to be more informed, and also helps protect people who are gathering and selling seafood legally.